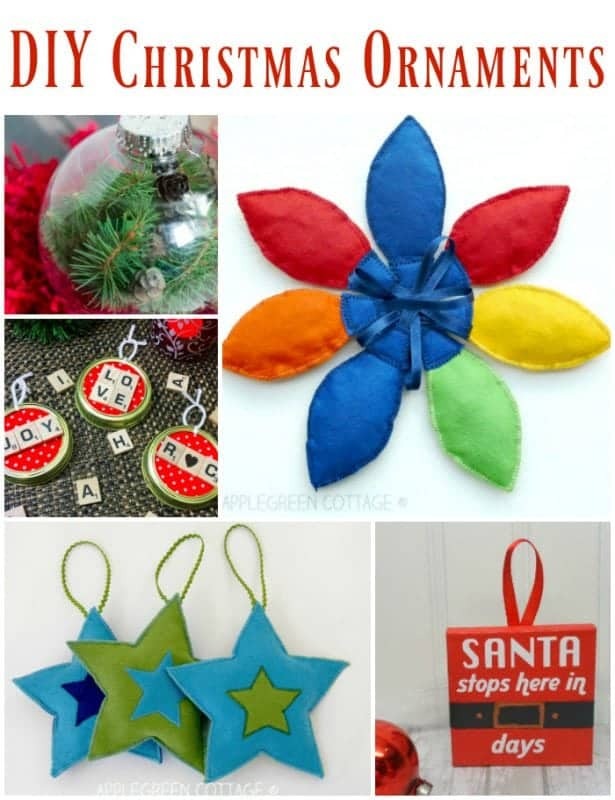 You don’t have to be a Pinterest-perfect mom to make these easy DIY Christmas ornaments with your kids! Preheat oven to 325*F. Mix flour and salt, gradually adding water while stirring with a spoon. 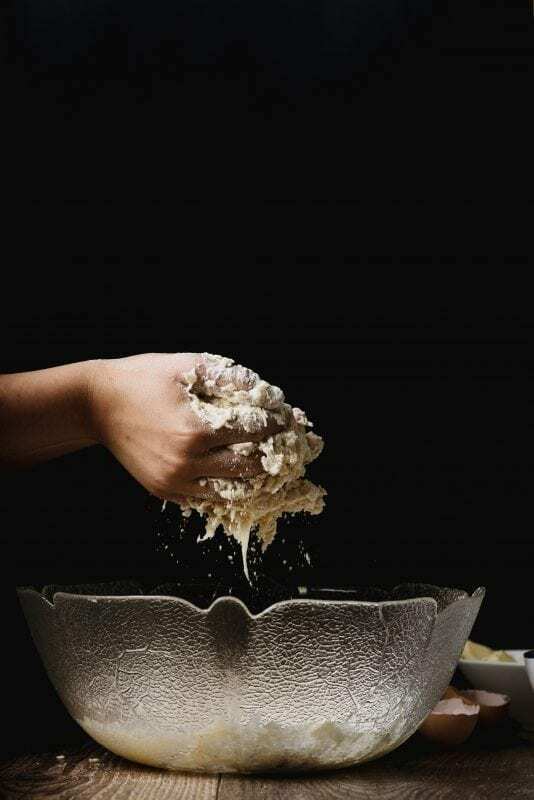 Knead until pliable. Roll out onto a floured surface, about 1/8″ thick. Using cookie cutters, cut shapes for ornaments. Make a hole in the top of each ornament with a toothpick. Place on cookie sheets, bake about 1 hour. Decorate with paint. 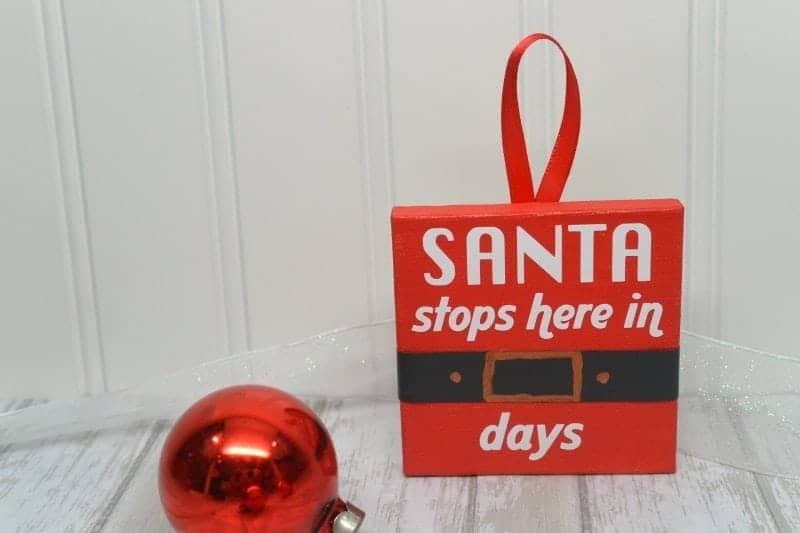 I’m pretty confident the kids and I could make these cute Chalkboard Santa Ornaments from Three Different Directions. They’re simple, straight forward, and don’t need a whole lot of prep or supplies! Made from Sculpey Clay, I am in love with this adorable Baby’s First Christmas Ornament from Craftivity Designs! Some people are so creative! Check out the Elf Ornament from Ann’s Entitled Life. 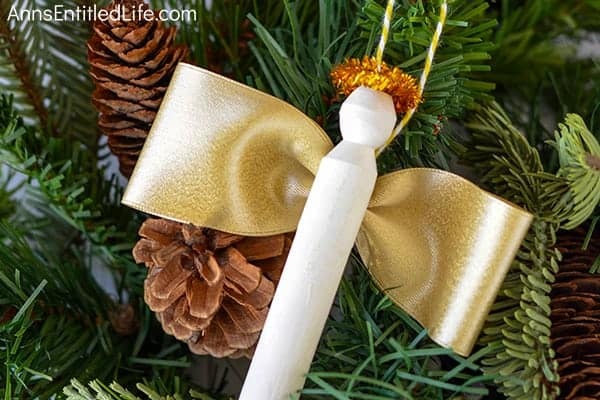 Also from Ann’s Entitled Life, this Angel Clothespin Ornament is very easy to make! 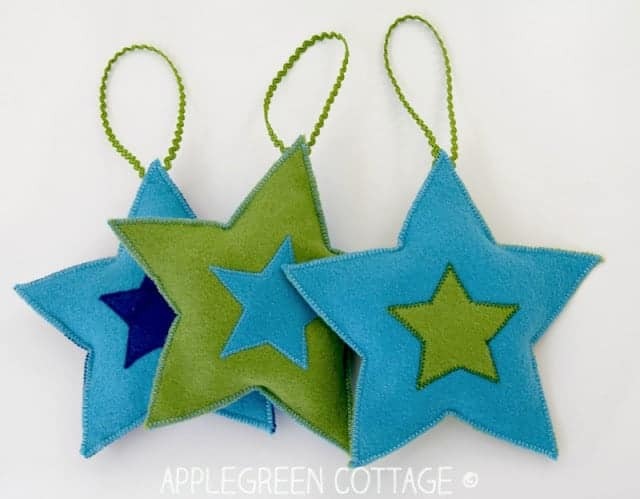 I love how creative these Felt Light Ornaments from Apple Green Cottage are! Working with felt is so easy, even for little hands. It’s also not as messy as some of the other Christmas projects I’ve cooked up lately. This Deconstructed Christmas Tree Ornament from Moms Who Save is simple, and there’s no mess! More felt! 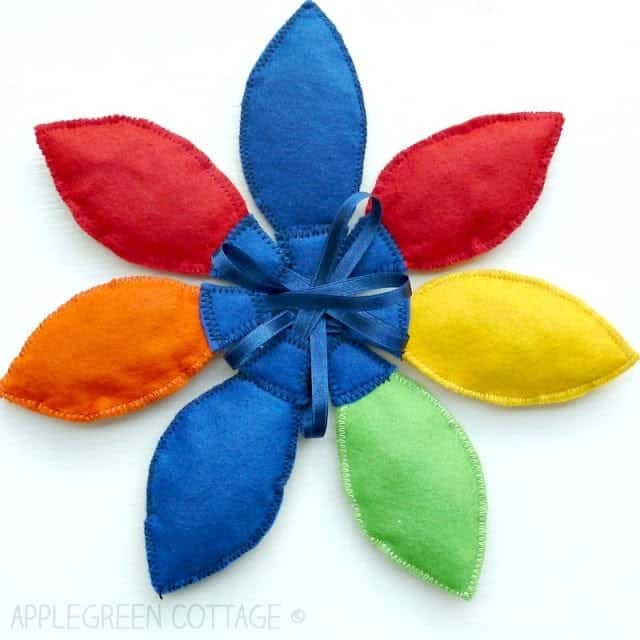 Try this Felt Star Ornament from Apple Green Cottage. Everyone has extra Scrabble pieces laying around, right? That makes this Scrabble Mason Jar Ornament from Kindly Unspoken even better! I enjoy upcycling whenever possible.